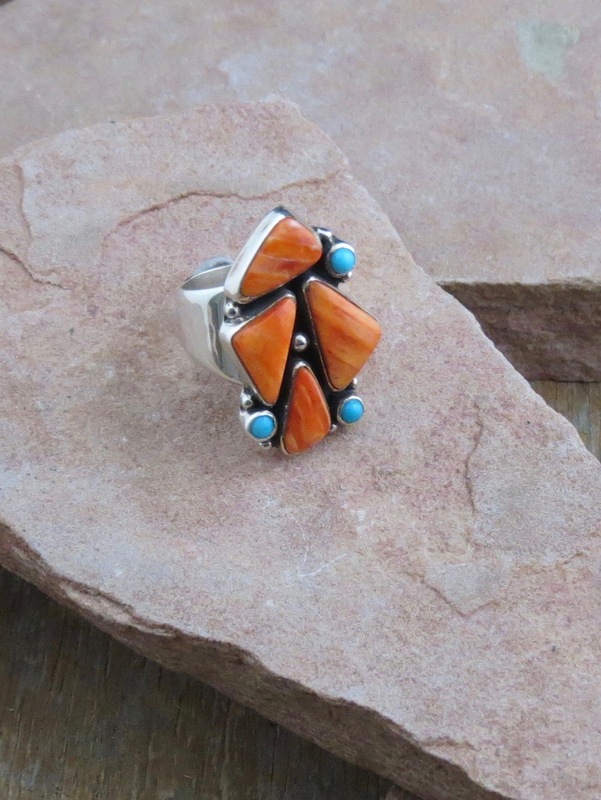 This contempory style Navajo ring was entirely handmade of solid sterling and signed by Navajo artist Bernyse Chavez . 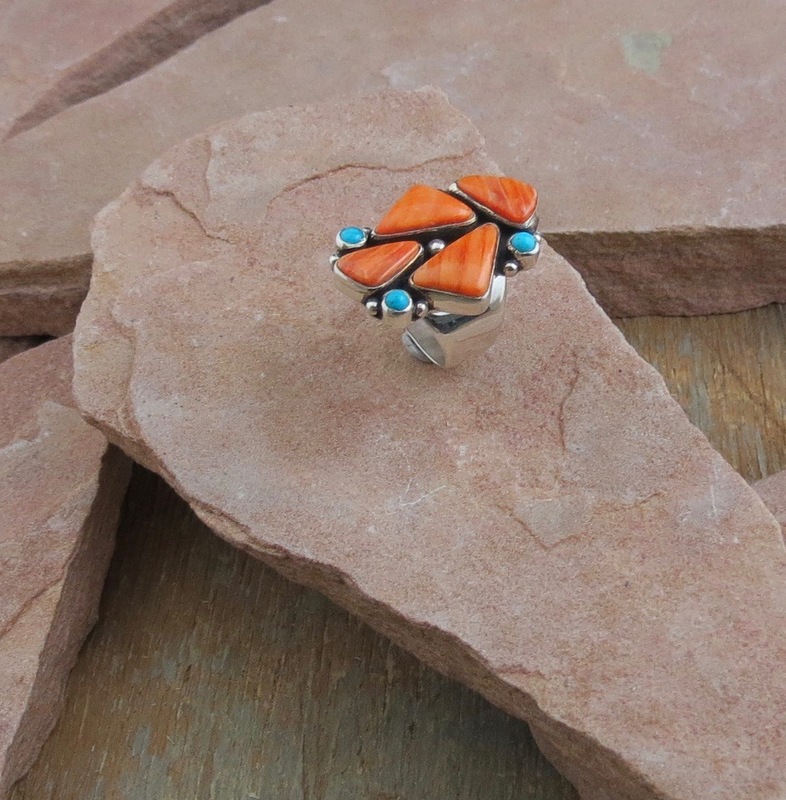 The ring features 4 pieces of beautiful Orange and Red Spiny Oyster Shell separated by Sleeping Beauty Turquoise from Arizona (mine now Closed) . 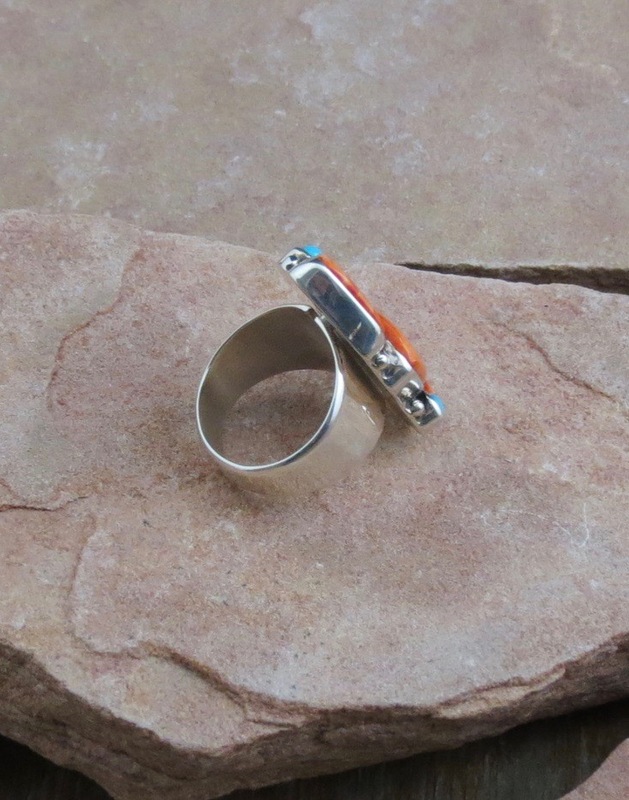 The ring is approximately 1 7/8″ by 1 ″ wide. 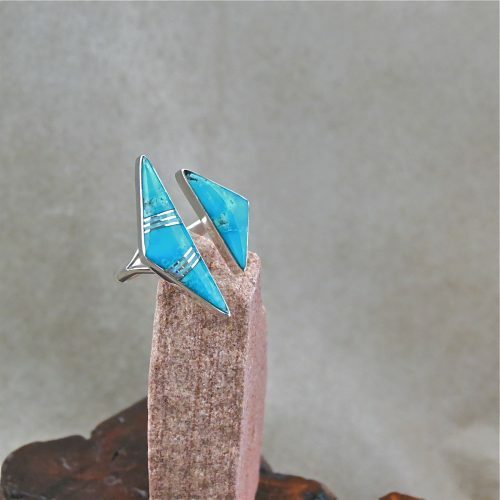 Mounting is a very unique style, It features silver raindrops seperating 4 randomly shaped stones. The shank is handmade of a single piece of silver , it is ADJUSTABLE so no need to worry about the correct size. This is a true collectors piece that is certain to become a family heirloom.. Please take a look at our bracelet and pendant pages for matching pieces. 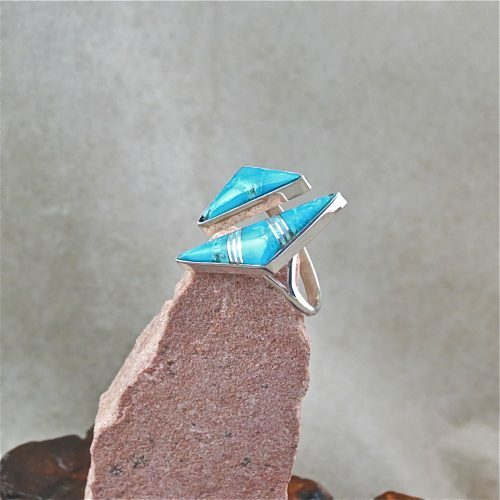 Share the post "BIL 202 NATIVE AMERICAN ORIGINAL HANDMADE ADJUSTABLE RING"